When I’m asked about the power of video games to do good, I like to quote Woody Allen’s explanation of success: “eighty percent of life is showing up.” There are few guarantees in this world, but one is that you can’t succeed if you haven’t shown up. If you’ve disengaged, if you don’t have the mental strength to try, or if you don’t even realize that you’re missing out, you are likely to suffer permanent disadvantage compared to those who put themselves forward. The best video games are about everyone showing up. Play is a human universal, while games at large provide the greatest collective experiences in human history — world cups, the Olympics, national sporting leagues. There is something in play that breaks through barriers of privilege and education — and this is one reason that BfB Labs’ first game excites me. It’s play with a purpose, and play done well: a kind of gaming that can help a lot of people show up for challenges and opportunities they might otherwise have missed. In Champions of the Shengha, BfB Labs have developed a game mechanic that uses focused breathing to control heart rate variability, based on clinical trials into the effects of controlled breathing on emotional state. This may sound abstract, but its results are concrete: controlled breathing is a powerful physiological mechanism for supporting emotional self-control, and for achieving focus and calm. In five trials conducted with between ten and ninety young players (aged from ten to fifteen), three out of four reported rapidly improving their focus within the game, while one out of four went on to use the breathing techniques outside of the game. During the course of play, over eighty percent of participants reliably learned to adjust their own heart rate variability through controlled breathing. Why does this matter? Report after report tells us that mental health disorders are among the greatest blights of 21st-century society, affecting one in four Britons during the course of their lives. Resilience and emotional self-control are perhaps the most powerful factors predicting long-term mental health for young people, while a lack of these skills can lead to a cascade of exclusion and underachievement. Emotionally Responsive Gaming is a tool equipped to reach young people of all backgrounds and attitudes, and to teach them through interactive engagement and self-directed play rather than preaching a message. I have long been in awe of the power of games — and also daunted by the force of the psychological mechanics behind them. In our information-saturated age, it matters more than ever that we learn to regulate our time and attention. From social media to online news, from messaging apps to endless YouTube clips, people of every age know what it’s like to grapple with seductively compelling technologies. It’s an arena within which success means taking control of your impulses, your feelings, and being able to find calm and focus amid the cascade of possibilities. 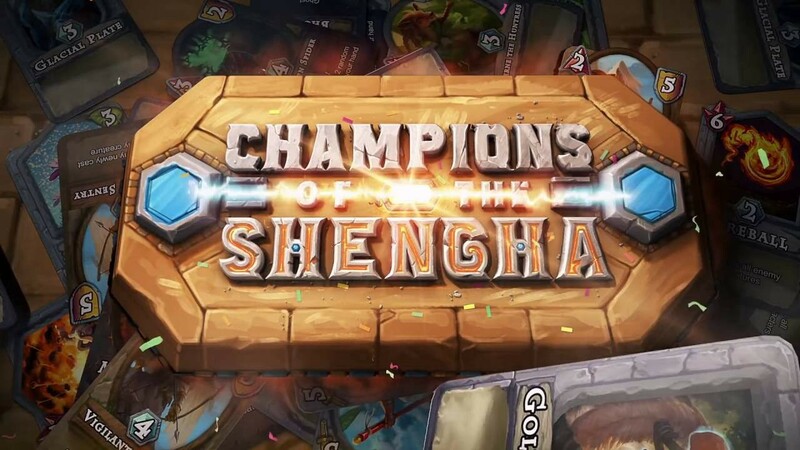 Two years ago, I contributed to some of the initial research around Champions of the Shengha — not as a game designer, but as someone who cares about games’ potential for engagement and awakening. Even since then the digital world has shifted. Smart technologies are ever-more-closely integrated into daily life, social media services are ever-more dominant — and human creativity, resilience and attention management are becoming the key factors that differentiate those able to thrive in this world from those left behind. Games and play are some of the most fundamental ways we learn and relate to others. Harnessing this power through Emotionally Responsive Gaming is a tantalizing opportunity, and one others will explore. For now, BfB Labs offer us the chance to help young people show up for the 21st century’s challenges equipped with a precious set of skills — the skill of mastering their own feelings, of remaining robust in the face of difficulty and uncertainty, and of finding the focus to grasp opportunity as it arises. I can’t wait to see what happens next. Dr Tom Chatfield is a British writer and broadcaster. A Visiting Associate at the Oxford Internet Institute, where he researches technology and critical thinking, his six books on digital culture are published in over two dozen languages. He spoke at TED Global on the psychology of gaming, and has worked as a consultant and collaborator with firms ranging from Google and Mind Candy to BMJ Learning and Sage Publishing.